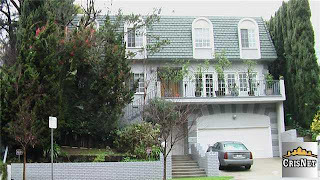 The Westwood Real Estate Market Blog: Short Sale Back On Market At 1249 Club View Dr. - Short Sale Approved? Short Sale Back On Market At 1249 Club View Dr. - Short Sale Approved? The home at 1249 Club View Dr., LA CA 90024 is back on the market with a price reduction after the buyer backed out of the short sale. The price was reduced 5.26% or $100,000, down to $1,799,900. The property was listed 136 days ago on 11/1/09 for $2,299,900. Previously, the home spent 168 days on the market, with an asking price of $2,695,000. The house is being marketing as a short sale and the MLS states there was an approval from the bank at a particular price for the short sale. This may mean the process could be expedited for a new buyer, but one can never guarantee timing on a short sale vs the traditional sale. According to the MLS, the home is a 4 bedroom / 4 bath, 4,042 sq ft on a 8,842 sq ft lot.